Syd M Johnson maintains that we need to consider the ethical implications of growing organs for humans in pigs. Earlier this month, Science published a report by researchers who had successfully inactivated porcine endogenous retroviruses (PERVs) in pig kidney cells. Church and colleagues used the gene editing technique CRISPR Cas9 to edit 62 genes in the cells. The ultimate goal of this basic science research is to produce virus-free transgenic pigs to grow organs for humans. To quote the authors of the published research, the goal is “clinical application to porcine-to-human xenotransplantation.” The news media worldwide latched on to that aspect of the story, heralding the research as a major development towards using pigs to grow human-compatible organs to help meet the demand for transplantation. To be clear, we are nowhere near being able to grow human-compatible organs in pigs, and the current research is at most a very small step towards this ethically questionable goal. The researchers removed PERV DNA, which is present in the genomes of all pigs, from PK15 porcine kidney cells, a cell line commonly used in research. They then cloned the modified kidney cells, and combined them in a petri dish with HEK293 (an immortal cell line of human embryonic kidney cells) to see if PERV infection of the human cells occurred. PERV was not detected in the human cells, leading the researchers to conclude that they had achieved a significant reduction of infectivity. Importantly, this work was entirely limited to lab-grown cultures of kidney cells. 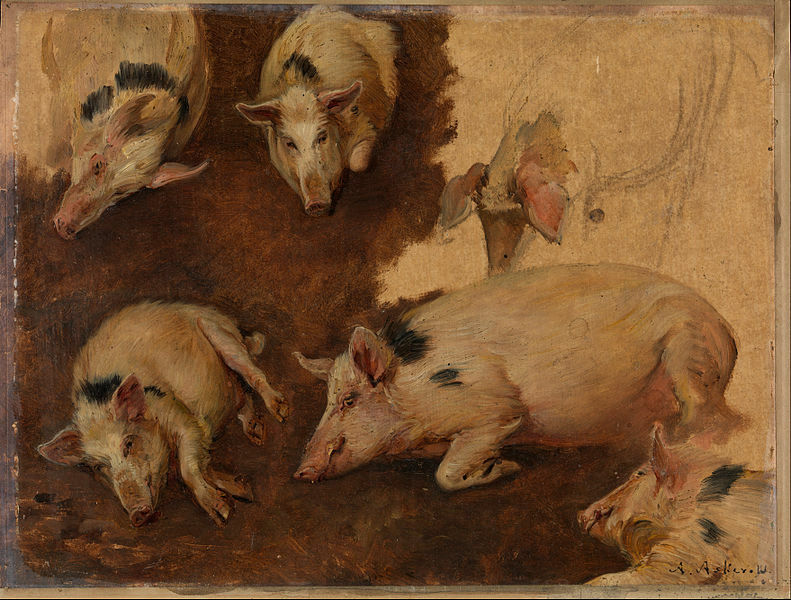 It is impossible to conclude that the technique would actually eliminate PERV transmission in living creatures, since the viral DNA is buried in the entire genome of pigs. Parallel to the research by Church and colleagues is research by other scientists to develop transgenic pigs that cannot grow their own organs. The goal of that research is to create chimeric pig embryos with human stem cells, so that pigs might grow human organs for xenotransplantation. Despite the reported success of using CRISPR Cas9 to create nearly PERVs-free cells, there may be many other pathogens, including some that are at present completely unknown, that could put both xenograft recipients and others at risk. An unknown (and therefore unscreened for) pig virus could potentially trigger a devastating new plague if it crossed the species barrier through xenotransplantation. Additionally, first-in-human trials of xenotransplantation would be exceptionally risky. Hyperacute rejection, when the recipient’s immune system reacts violently to foreign cells and rejects a transplant within minutes or hours, is a significant, deadly risk, one that increases when species are discordant (meaning they are not closely related), as humans and pigs are. Many people die each day waiting for a lifesaving transplant, and recruiting such vulnerable, desperate individuals for hazardous (and arguably unnecessary) research raises significant concerns about exploitation. Pigs have been targeted for xenotransplantation research largely because they are the right size to match with humans, and because humans are generally less concerned with killing pigs than with killing primates. Nonetheless, the welfare of all nonhuman animals used in research is of ethical concern, and expanding research to develop new species and new ways of using animals warrants careful consideration. Public attitudes are shifting towards increased discomfort with research on nonhuman animals, due to growing awareness of animal suffering, as well as new discoveries about the psychological complexity and capacities of other creatures. Like primates, pigs are a highly intelligent, social species, and by definition transgenic, chimeric pigs created to grow organs would be animals with some genetic relationship to humans. If we are troubled by the use of primates because they are our genetic cousins and share many characteristics with humans, we ought to be similarly uneasy about the creation and use of pig-human chimeras for human benefit. The potential suffering of sensitive, intelligent animals confined for life in laboratory conditions, and the killing of those animals, requires ethical justification, and it is far from obvious that using pigs for xenografts would pass ethical muster. To be clear, the research by Church and colleagues was on pig cells, not on pigs. But many pigs would have to be created, experimented upon, and killed before the goal of creating transgenic, chimeric pigs with transplantable human-compatible organs could be achieved — if it could ever be achieved— with the potential for great suffering. In addition to concerns about animal welfare, there are concerns about social justice. Xenografts presumably would be commercially produced, raising concerns about cost, quality control, unscrupulous black markets, and the potential for the benefits to be distributed unfairly to only the wealthiest recipients. Since the wealthy already disproportionately access human organ transplantation, creating an additional stream of for-profit (and presumably patented) organs heightens concerns about economic injustice. Secondly, growing human-compatible organs in pigs might also further discourage or dis-incentivize the donation of human cadaver organs, thus squeezing out those who might benefit from them. Thirdly, as noted above, xenotransplantation trials on humans would be risky, and the burdens of biomedical research already disproportionately fall on the economically disadvantaged, who also stand to benefit the least from the research. Finally, ethical concerns about animal and human welfare alike are heightened in this case because the shortage of transplantable organs is a problem that can be solved without resort to chimeras and xenotransplantation. There is a shortage of organs for transplantation not because there are not enough eligible human donors, but because too few people choose to donate their organs after death. That problem can be solved by low tech, social engineering rather than the genetic engineering of pigs. While the research to grow human-compatible organs in pigs for the benefit of humans is in its infancy, it is time to pause and consider its ethical implications.